Smart Phone usage is growing in leaps and bounds. Is your business listed on mobile searches? Is your website mobile-friendly? The best way to start with Mobile Marketing is to check your web traffic counter and watch how many visitors are accessing your site using a mobile phone. If it is gaining and getting over 5 percent, it may be time to put your mobile marketing plan in action. What I like best about mobile marketing is QR Codes or Quick Response Codes. I’ve been busy this summer making QR Codes for my clients to post at their place of business or in ads. Not sure what to do with that code? 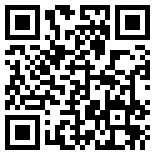 Download a code reader/scanner for your phone and start scanning! The web marketing industry seems to be coming into its own after a decade of figuring out your web marketing activities really impact your business. Now you can track leads from the first visit to a sale easily and with more information than we ever want to know about our customers! The latest web marketing platforms are amazing in all they offer the business owner, but keeping up with the speed of technology and finding the time are the two biggest worries I hear from business owners every day. It is overwhelming, but you can find the right tools on your time and money budget that works for your business. It can be as simple as a wordpress blog (such as this one) or a high-end inbound marketing platform that allows you to market with the best of them, but it requires planning to make informed choices on your web marketing strategy. On this blog, you’ll find my tips, ideas, resources that have worked for many small business owners over the years and hope maybe one idea from here will bring you some success in your business.